There was pandemonium on Wednesday, when a former Governor of Jigawa State, Sule Lamido, came to inspect his campaign office in Kaduna ahead of the 2019 political activities. 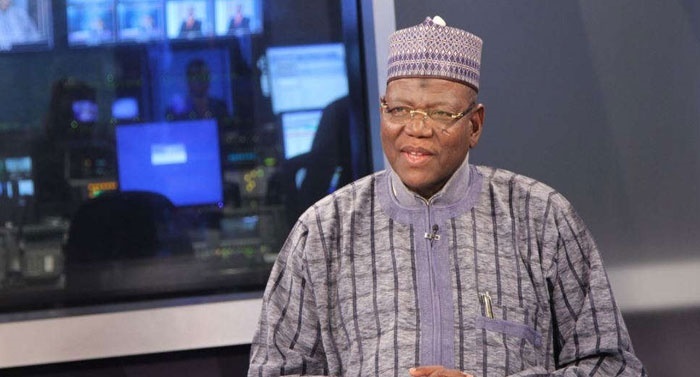 Lamido had recently written a letter of intent to contest the 2019 presidential election under the platform of the PDP to the party’s National Executive Committee. The visit soon turned into a rally of sort when Lamido chose to address his supporters. Midway into the programme, several armed thugs invaded the centre brandishing dangerous weapons and inflicting injuries on supporters. Four victims of the attack sustained deep cuts on their neck, while the left arm of one of victims was severed. Many journalists, who were present at the Rabbah Road venue of the rally, took to their heels, just as some of the dignitaries at the venue made fruitless efforts to inform the police of the attack. Trouble started shortly after Lamido finished addressing his supporters. His speech was said to have angered some of the hoodlums who were hanging around the campaign office. Lamido had carpeted the Buhari-led All Progressives Congress administration for its poor handling of the nation’s socio-economic and political affairs. He noted that because there was no peace in the country, investors seemed to have shunned Nigeria. Lamido said, “When there is peace in Nigeria, there will be development and growth; when there is stability, people can invest; today, there is instability in Nigeria because our chemistry cannot blend. We are busy maligning one another, dehumanising one another and abusing one another. “Nigerian government will mock you if you complain. If I am wailing, my people will say, ‘Sule what is your problem?’ This is the only government that people have been mocked for expressing their opinion. We have been demonised because of our opinion. We will not succumb because this is our country."